In the last year or so, the upgraded SkiRacing.com has added a great section: Backshop. http://www.skiracing.com/premium/backshop-5-simple-steps-for-fast-skis/ This series has been consistently great and I can't recommend their tuning series highly enough. Jim Schaffner is a Master Tuner and a very good teacher. As a contrast, although there are TONS of tuning videos on youtube, but they are extremely inconsistent in the quality of information. In the case of You Tube, BUYER BEWARE! 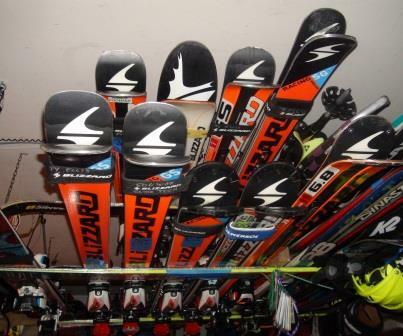 So if you are dying for more information to make your skis work well, Check out The Backshop. High performance, high edge-angle skiing puts increased demands on tuners to properly prepare the side edges, side walls, and the top sheets. Why? Because the racers spend a lot of time with the skis laid over and NEED performance out of the side of the skis- not JUST the bases. Sturtevant's and World Cup already have these specs and this info. I will also offer them to other shops who are willing to support us in this way. 4.) 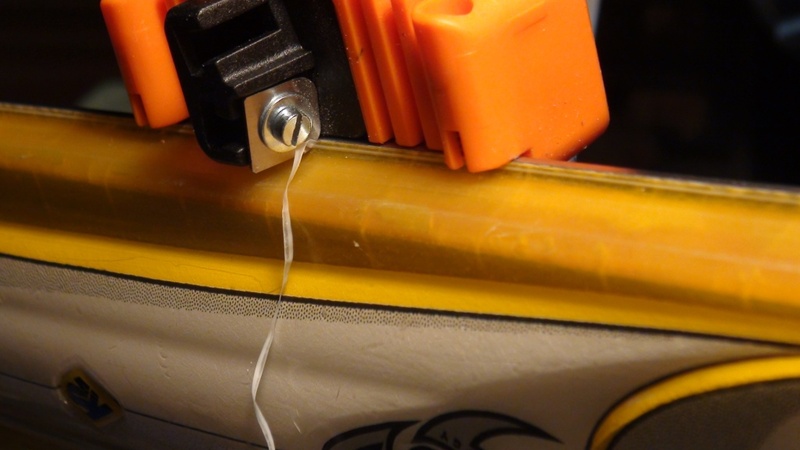 How to repair sidewalls on older skis. 8.) I have included links to a few videos that I believe to a great job of explaining the process. 1.) 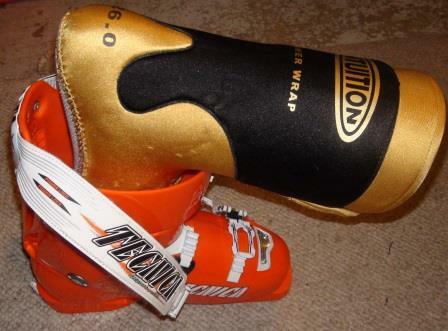 Which skiers need Extreme Sidewall treatment? Only the U-16 and FIS racers who may be invited to a Western Region Camp or above need the most extreme sidewall treatment. Reasons for this logic will be explained in the LONG answer section. 1a.) Which racers would benefit from a more modest treatment? Racers up to the U-16/FIS level are better off with a more modest treatment. 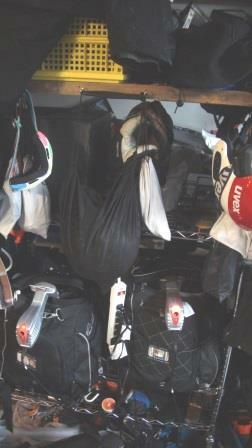 It will NOT slow them down, but it will preserve ski life and reduce ski setup/tuning time/cost. This is an example of a Junior level sidewall. The shoulder is relieved, and the sidewall is smooth. It is easy to file, but still very strong. 2.) 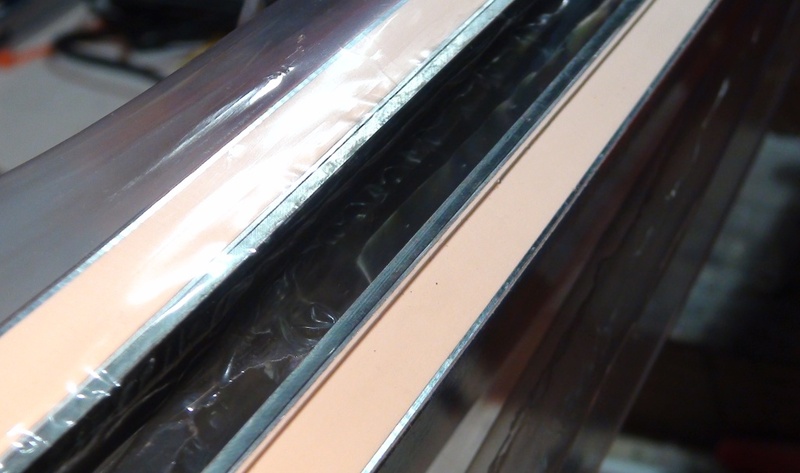 How do you tell if your skis need more sidewall attention? If you have to ask, they probably need attention, but the easiest way to tell is by coloring the edge with a black pen in a few spots, then run your file/edge guide over those spots ONE time. Look where the pen markings are removed. 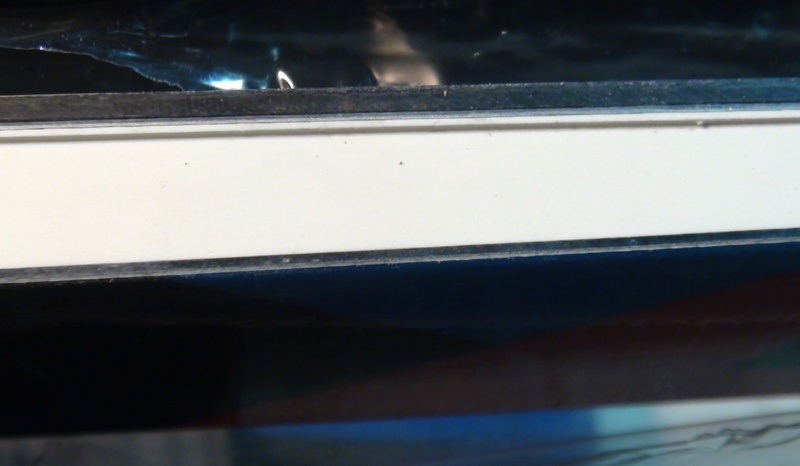 If the ink is still on the shoulder above the edge, you may not NEED to remove more sidewall- but you may want to. See long answer for explanation. These pictures show a FIS level, brand new pair of skis. Notice the shoulder above the edge is pronounced, the sidewall is square and a bit rough, and there are still grinding marks on the skis. This is a typical new ski finish from the factory. Lots of remaining speed potential here! 3.) How do you setup new skis? 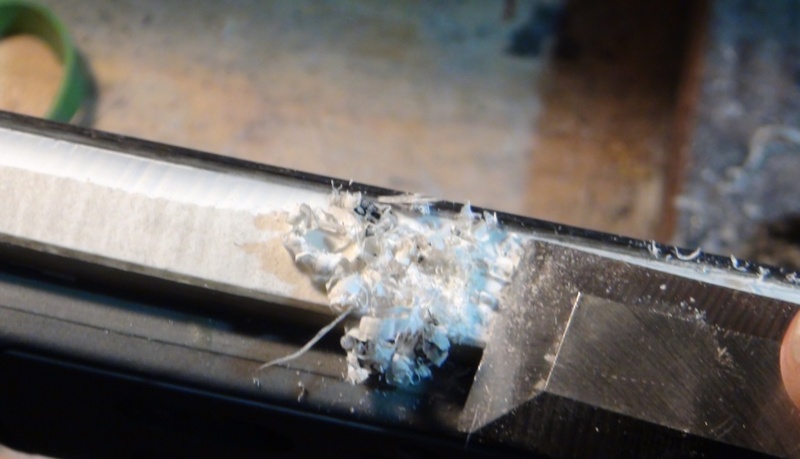 Top Edge: Start with a Panzer or other very coarse file that will remove a lot of material quickly, working on the Top Edge of the ski. 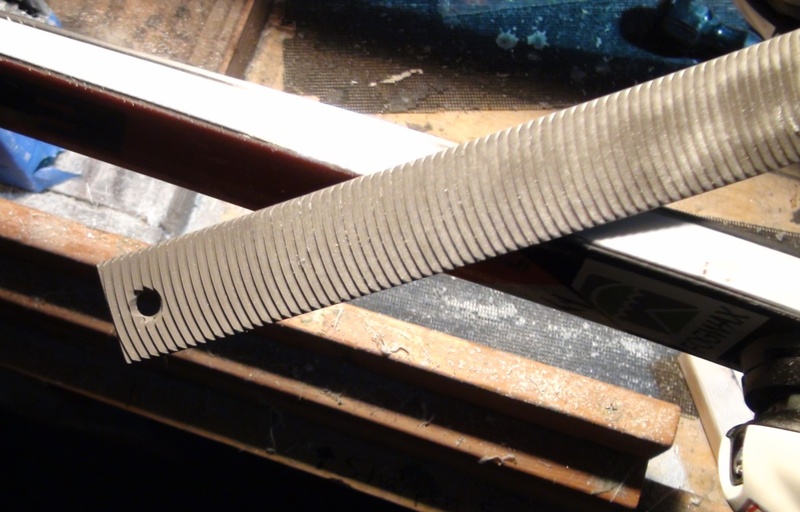 Round the top edge substantially, then smooth, blend and de-burr your work with a finer file. Finally, sand the top corner smooth. 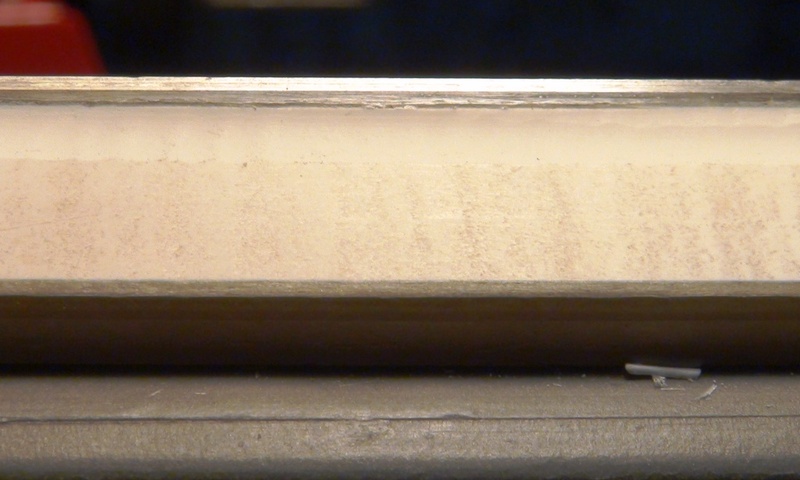 Side Wall: Start with a sidewall planer, following be a backfiler (which is a high-degree file guide with a coarse file in it) followed by sandpaper. For FIS level, further smooth with Scotbrite and finish with wax/polish. The big panzer file can do a lot of work, or a lot of damage REALLY quickly. 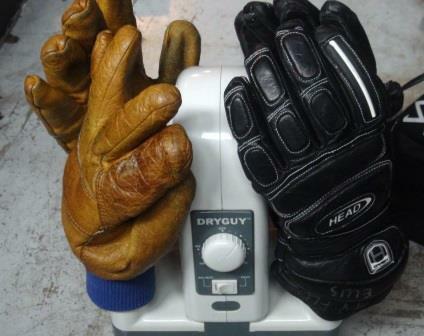 Gloves must be worn, and it requires a couple of strong, confident hands. After the rough cut of the panzer, smooth and blend the top edge with a finer file and sandpaper. Next step is the sidewall planer. 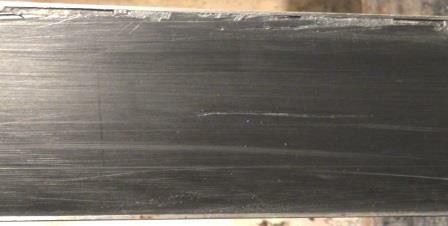 For this picture, I have it set to remove maximum plastic sidewall and minimum bottom laminate of the ski. It is safer and easier to use if you set it to remove smaller amounts of material with each pass. This is a big of the sidewall dust you can expect while doing this work. 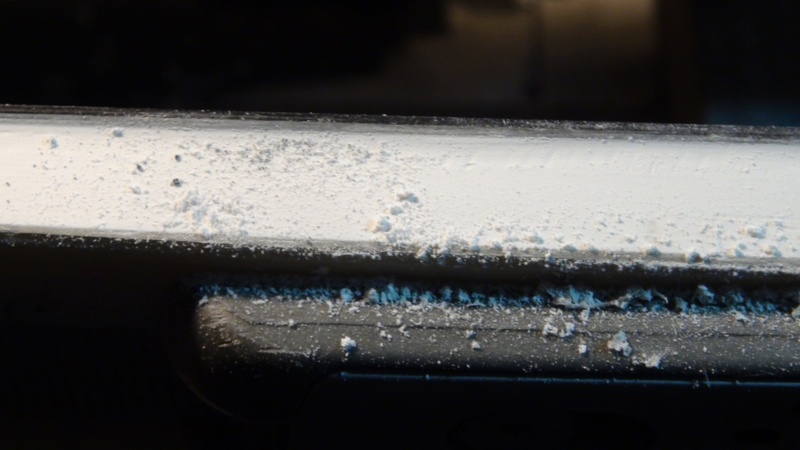 Phenolic sidewalls create a fine, choking dust not unlike drywall. A vacuum should be used for cleanup, and a dust mask for personal protection. This is a purpose- built shaping/sanding block made from a 1x2, 3 inches long. It has a radius of 1" on the corner that contacts the shoulder of the ski. Use it with 180-220 grit sandpaper to blend the sidewall. 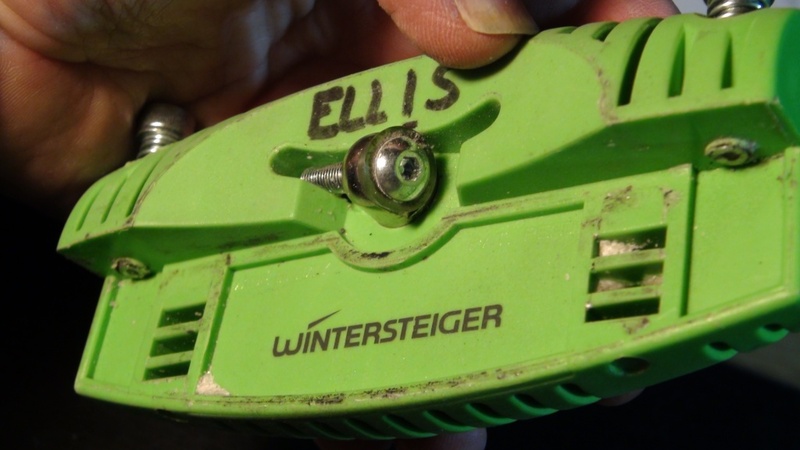 This was the goal: A radically reshaped sidewall and top edge (in this case) for a FIS GS ski. This will be an easy ski to sharpen and maintain. 4.) 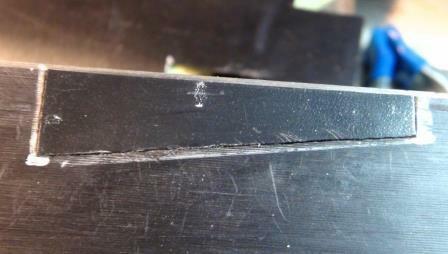 How do you repair sidewalls on older skis? 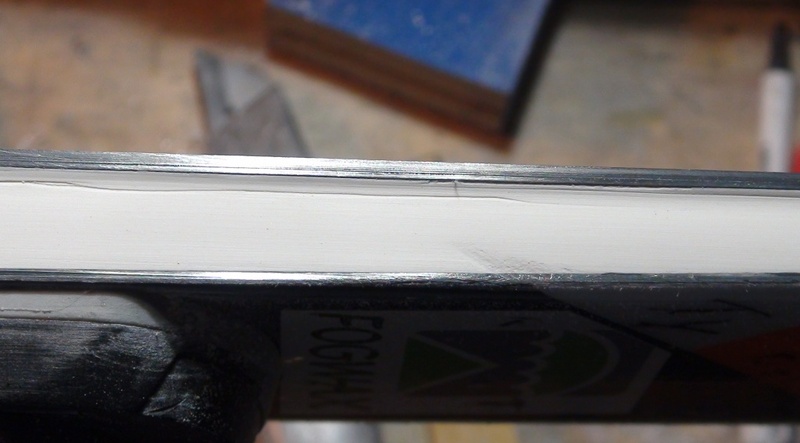 Top Edge: Smooth with fine file followed with sand paper. 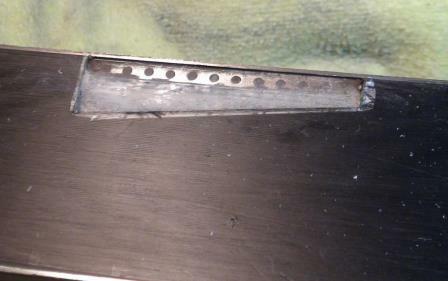 Sidewall: You may be able to use a sidewall planer to remove more material, but if the edge is already flat against the side, you will have to "trench" into the sidewall to gain access to the last bit of useable edge. Once this is done, you will need to remove more sidewall and top edge so that the ski will not hit the sidewall and skip off of the edge. This is time consuming and a little dangerous to fingertips because you must hand hold a small, sharp file flat against the sidewall and remove much of it. 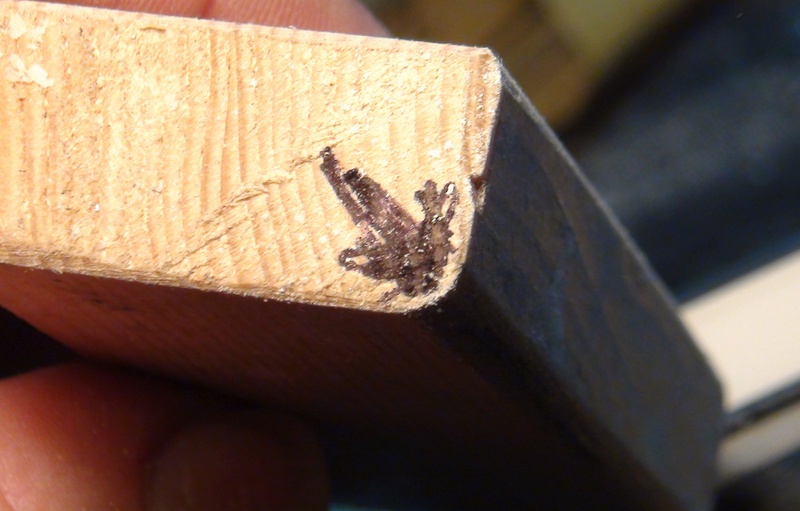 A sharp wood chisel can also be used (very carefully)- but the BIG requirement is patience. This is a tough job. 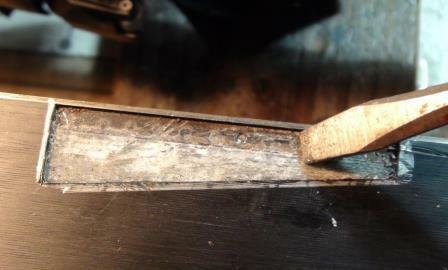 This is a worn ski after sidewall removal and backfiling, but has not had much blending work done yet. It is unusual for a ski with the entire shoulder removed to last an entire season. For sponsored athletes (or those with large equipment budgets) this may not be a problem, but most racers need a pair of skis to last A FULL SEASON, if not longer. The shoulder above the edge is NOT a manufacturing mistake, it was designed into the ski to provide strength to the edge. 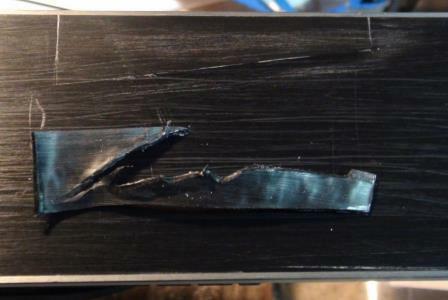 Think carefully before cutting away more sidewall than you really need, otherwise you may not have good skis left (unless you buy replacements) by the time the Spring races roll around. Over-beveled edges dull faster, can bend more easily, and even delaminations along the edge can happen to unsupported edges when the sidewall is removed. The most common problem is just running out of edge to work with. This is an edge on a ski with about 1/2 season of use. 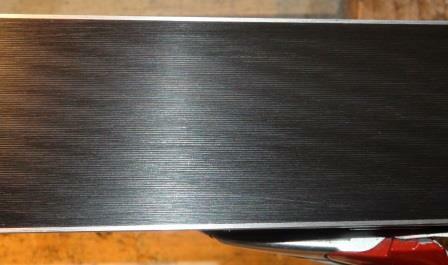 The edge is already super thin. 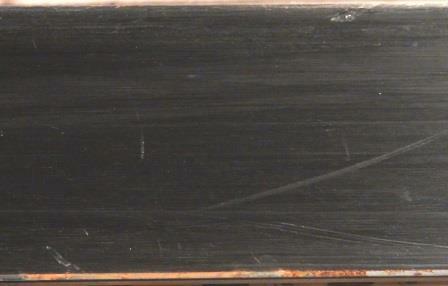 Top racing skis have very thin edges. They are built for performance, not durability. If you want your edges to last a full season, you must actively preserve them through tuning method and planning. This is a ski that has been filed so much that a trench had to be created to get access to the edge. 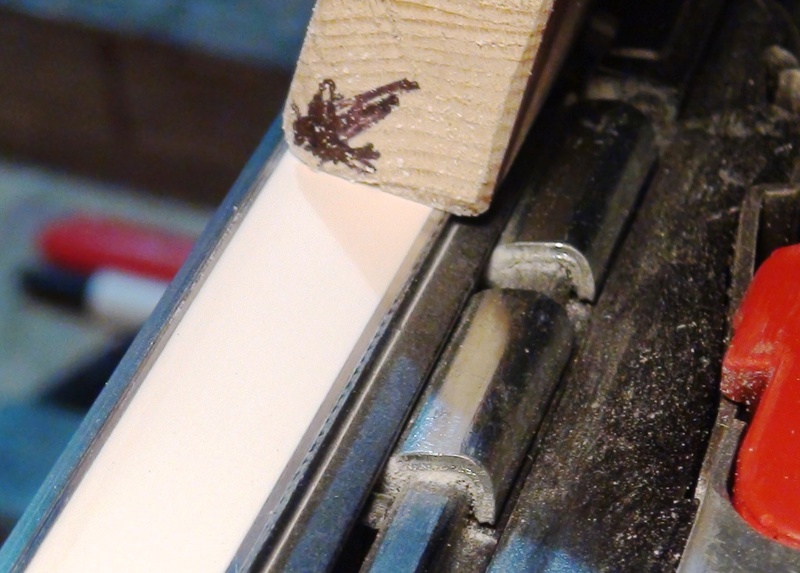 To finish this ski properly, the rest of the sidewall (the flat, non-trenched area) must also be removed and the top of the ski must be reshaped. This is the debris from ONLY 3 PAIRS of skis- sidewall removal is messy and time consuming. If you haven't noticed how much work this is, then I haven't done a very good job with this post. Most people should hire this work out. You will be happier in the end. It is easier to tune the sides of Cap Skis because the tops are already shaped for you. All you need to do is plane the shoulder off below the edge and blend it into the sidewall. 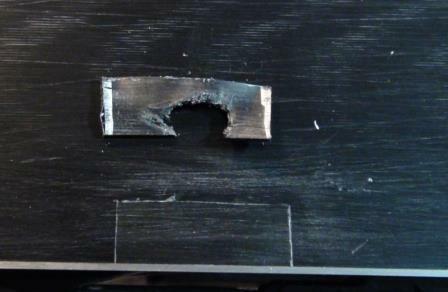 Do NOT use a Panzer file on the sides of a cap ski. Sandpaper should be enough. So New ski are easier. But old skis (on the other hand), when you run out of edge on a cap ski, the ski is done- there is nowhere to go. 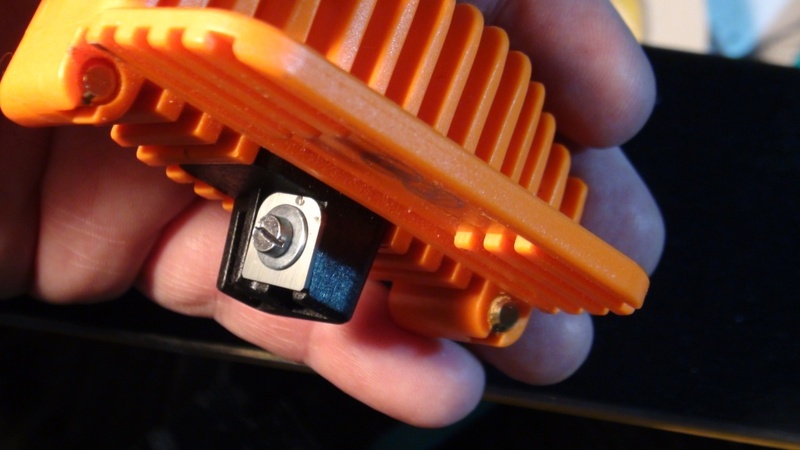 The sidewall is thin and cannot be worked. 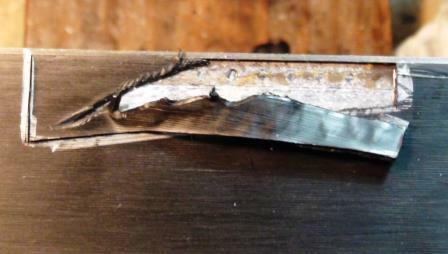 Here is the sidewall removal on a cap ski. They are easier to shape than a laminate ski. This is a classic sidewall tool. 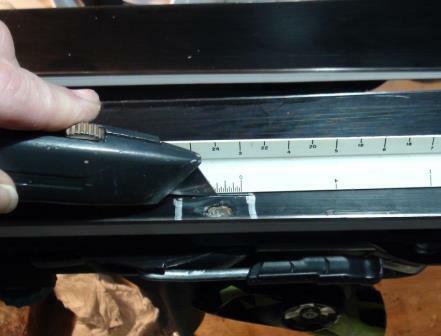 It has a rounded cutter which works the best on laminate skis. This is a combination square and rounded-edge sidewall tool. The square edge works best with cap skis. Start Haus: https://www.youtube.com/watch?v=UPPP158_Wpg This is a very good video and they have produced a complete series which is all very well done. Other Sidewall videos- useful, but NOT as good in my opinion. Why are we pushing for a standard for FIS tuning? The answer lies in how the top racers in Western Region and above are skiing these days. They are laying the skis ALL the way over and contacting their boots, knees and hips so their skis MUST be tuned in such a way that they will hold even angled beyond 90 degrees. The Western Region coaches understand this and are instructing their racers how to tune this way. We want all racers who may be skiing and coached at this level to have their equipment fully ready so that they can take full advantage of these great opportunities. Why don’t we tune ALL skis this way? As a consumer, it is up to you if you want to have all your families’ skis setup for the FIS standard. But you should understand that this is an expensive choice and may provide little or no benefit to you or your racers at a lower level. The ski companies and stores more than happy to sell you more gear, more often. Do want to buy gear twice as often? At the highest levels, Slalom Skis only last around 10 days on snow. If you have a full-ride sponsorship, it may be no problem- but for the rest of us, changing slalom skis 3-5 times/season is a substantial additional cost. Additionally, there is a not-unimportant safety issue to consider: Young (u16 and below) leg muscles, bones and joints are not nearly as strong as 18-25 year old racers’ legs and joints. 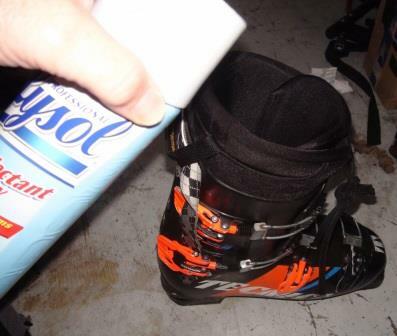 Skis that hook up super hard can get them into trouble that they might not ski out of, and injuries can be the result. I believe the BEST choice is to save the Most Aggressive Tunes for ONLY the Most Aggressive Racers that NEED them. Why do we have a Standard for Mighty Mites and Juniors? Because these racers also require their skis to perform properly in order for them to learn proper ski racing technique and tactics. Flat bases are especially critical to learn how to roll over a ski and carve a turn. These standards are intended to help parents provide what their kids need, and to help local shops provide the level of service that is appropriate to all our racers. Better for the kids, better for the shops (and home tuners), and better for the Parents- Win, Win, Win! I am moving on from this post now, but I am happy to answer any/all question. Please drop me a note. Stage 1 is designed to teach you how to maintain Skis in only 5 minutes a day. Included is a very basic tool list (at the bottom) as well as pictures and videos to show you every step of the process.So here we go! If you have nothing at all, $150 will get you all you need for daily (Stage 1) maintenance. Many things are available in stores locally, some are quite hard to find. Togar is located in Oregon and will get your order off to you FAST! Tool lists, pictures, videos, and Stages 2-4 will be added soon. For those of you reading this work in progress, I expect to have it done by July 15. CMAC racers and parents: This is little announcement. I only get feedback occasionally, so have to do my best to set direction based on my vision of what I would like if I were a parent or racer at an earlier part of the learning curve. I always TRY to write in the Winter (when Ski Racing issues are front of mind), but time on the hill, shop, and behind the wheel limit my time with a camera and keyboard. SO I AM WRITING NEXT WINTER'S BLOG RIGHT NOW!! Please give any input/request ASAP so I can include them in the blog. Thank you in advance. Some projects I do seem to fall on deaf ears- such as arranging demos for kids at camp. This is a pretty rare and valuable opportunity- yet only a small percentage of CMAC Racers took advantage of it this year. Personally, I LOVE trying out new gear, as does my son. Trying new stuff is how we learned what we like best and how to optimize what we have. Oh well, I will continue to pour out ideas. I guess we will just see what sticks. Thank you for the questions. Writing the blog takes me away from repairing bases shredded by the gravel-laced snow we are so thankful for. Anyway- the question was this: "Should I use a colder or warmer wax on Salt treated snow?" Good question! The quick answer is Colder- about 2 ranges colder than the ambient conditions (generally) indicate- because the snow is colder and MUCH more abrasive. If those 37 f temps were telling you to apply HF10 wax (a very good wax in wet mush), the salt should have you changing to about HF7, The salt made the snow colder AND more abrasive to the bases. To explain why this is true, here is a short refresher on Wax Properties. When you are choosing which wax to use, you must consider what your priorities are, and what functions you want the wax to perform. This chart is an example of what I am talking about. 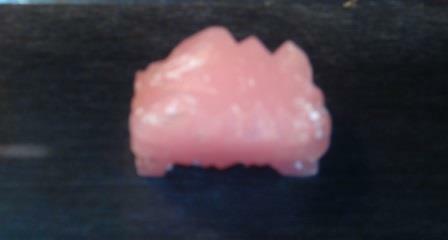 NO wax can perform all functions at once perfectly, they each are a balance of available properties. Some properties are complimentary, some are opposing each other. And the application changes how the properties interact. Why? Because dirt is slow, REALLY slow. 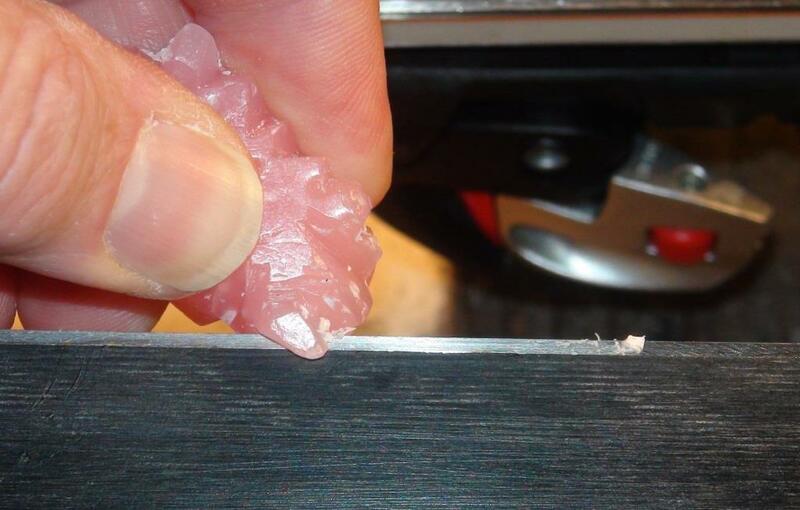 Waxes that help keep skis cleaner also keep them faster. Molybdenum, and Flurocarbons (fluro). Why? Because Moly is friction reducing, static reducing, AND it is (somewhat) of a hardener. Sounds ideal, right? Fluro is friction reducing and dirt-rejecting. It is possible to make a hard, yet pretty fast wax by loading it up with these 2 additives. One wax that does EXACTLY that is Swix Marathon. 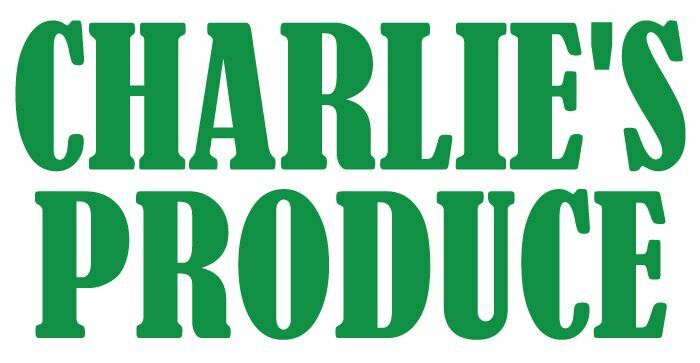 Wax: SWIX CH4 with CH3 hardener. But on a VERY cold day, the abrasion protection provided by this extremely hard wax combo will actually ADD to glide by preventing the snow from cutting the base. 30 f old snow, melting slightly in the sun. In this case, the HF (High Fluro) helps with glide AND dirt rejection. RaceWax X-2 (don't tell anyone- it's a secret). As you can see in the chart above, it is a great blend of performance, cleaning, and protection. Other suitable waxes include Swix HF7, HF7BW, and other similar equivalent waxes. In my post that follows, you will get a glimpse into how I decide these things. So, some say I am obsessed with wax and glide. I thank you for that kind comment. Others consider me Completely Nutz!! I have some advice for those with that opinion: Take up Soccer. It is a much more simple sport without all these little "details." Here are 2 of my kits. These (together) represent about 1/2 of the variety of base treatments I own, and only about 20% of the quantity of my waxes. This is my main travel kit- exploded. Small amounts of a great variety of speed treatments, and a couple of spurious items added to the picture. Can you find the most expensive and the cheapest? Two sides of the same fold-open kit. About a year ago, Alan was telling me about how Blake Lewis (his tech on the world cup) would cut out damaged p-tex and replace it. I had never tried it, but after Ty tore 3 HUGE gashes into (basically) brand new skis- it was time for me to learn. Disclaimer: This a difficult job. 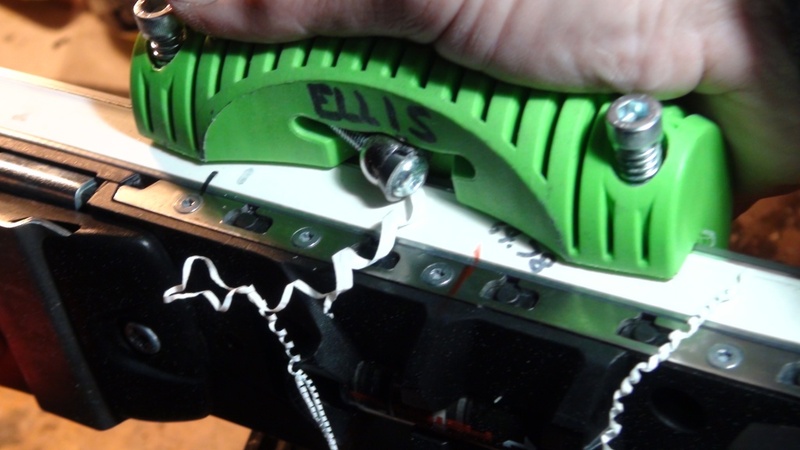 The first time I tried this, it was THE HARDEST ski repair I had ever done. 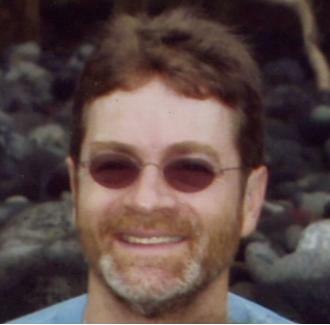 I learned so much that the next pair wasn't too bad at all however. I am passing on a bit of what I learned to make it easier for you. If you have a BIG core shot, this job is for you. 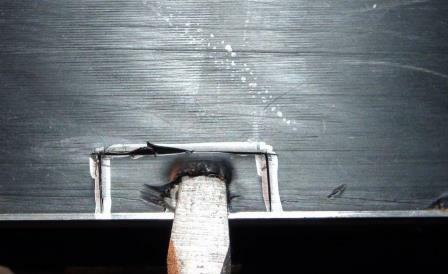 When completed properly, the ski performs as well as it did before the damage occurred. This is the big tear. I forgot to take a picture before I started, sorry. And the small tear, pre-repair. Mark with a sharpie, then cut against a straight edge. Then pry out the out base material with a screw driver or oyster knife. Clean out the damaged areas with screw driver and sandpaper, then blow out debris. Measure the cut on the ski, and cut p-tex to fit. Test fit BEFORE mixing the epoxy. 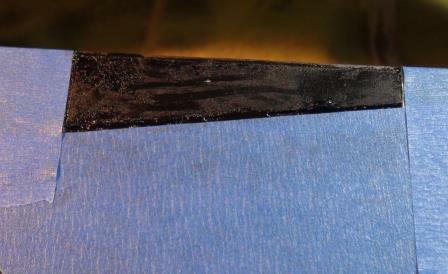 Mask off the hole, apply the epoxy to both ski and repair, then put p-tex in place. 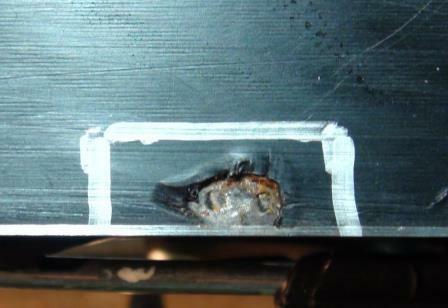 This repair is ready for clamping. Use the best epoxy you can find for this job. I use HySol 24 hour cure. It does cure faster in the hotbox though! Not bad eh? These skis will perform as well as they did before the damage. Remember- this is for the obsessive tuners looking for TOP performance. In the Northwest, we are used to soft, abundant snow most of the time, with occasional periods of Ice. The wear produced by Man Made Snow is quite different, and must be compensated for in order to keep the skis in top shape. Man Made snow is ABRASIVE/aggressive, and ski flatness and bevels can change within 1 or 2 days of hard skiing. Typically in NW snow, Bases are flattened at the beginning of the season, then (assuming no rock damage) they can be left alone for 10-15 days. Man Made Snow is so abrasive that base flatness must be checked (and maybe re-flattened) every couple of days. Base and Side Bevels that normally last 10-15 ski days can need resetting very couple of days too. So the bad part of this is that routine maintenance is much more involved now. The good part of this situation is that your skis will ski very consistently day to day- assuming you’re doing all that the skis really require, not just the stuff you are used to doing. Deburr base and side edges with diamond or ceramic stones. Check flatness with a true-bar, light, and any auxiliary tools that are your standard process. Flatten bases using Base File, Planer, Ray’s Way Flattener, etc. Step 2 or 3 can sometime be skipped. If you flatten every day, you may not need to actually check flatness. If you check every day, you may not need to actually flatten. Snow is different every day at every area, so avoid assumptions. 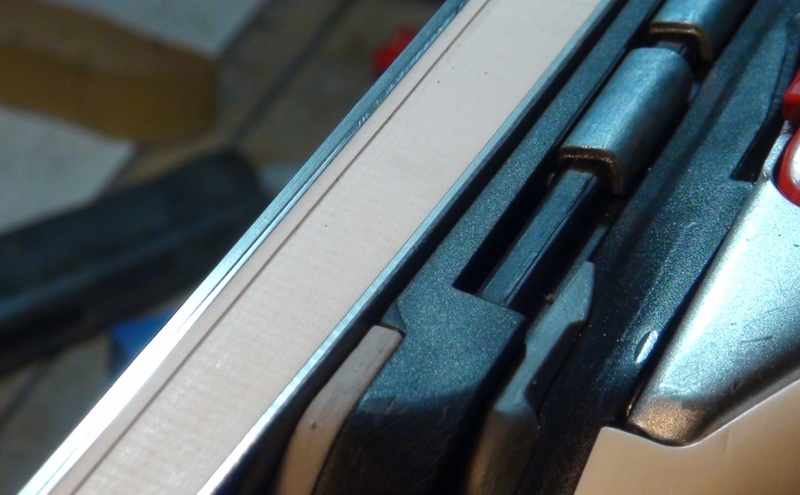 If you removed base material in step 4, edge bevels must be reset on both base and side- especially the base edge. So- remark the edges with a felt pen every 6 inches or so, then (using the appropriate file-guide and FINE or VERY FINE file) reset the base bevel. Side file (using the appropriate guide and FINE file) the ski. But only 1-3 overlapping passes. DO NOT OVER-FILE! Repeat steps 5 and 6 using med-fine diamond stones on the side and fine stones on the base until the edges are consistently very sharp. Optional (step 7.5). Repeat steps 5 and 6 with Ceramic and/or Arkansas stones and finally gummi stones unless the edge is both incredibly sharp and perfectly smooth. Rub med-hard (red) wax ONTO the edges and polish the wax INTO the edges. This final step will delay rust formation, make the edge slightly safer to touch, and (possibly) save .01-.02 seconds a run on a race ski. 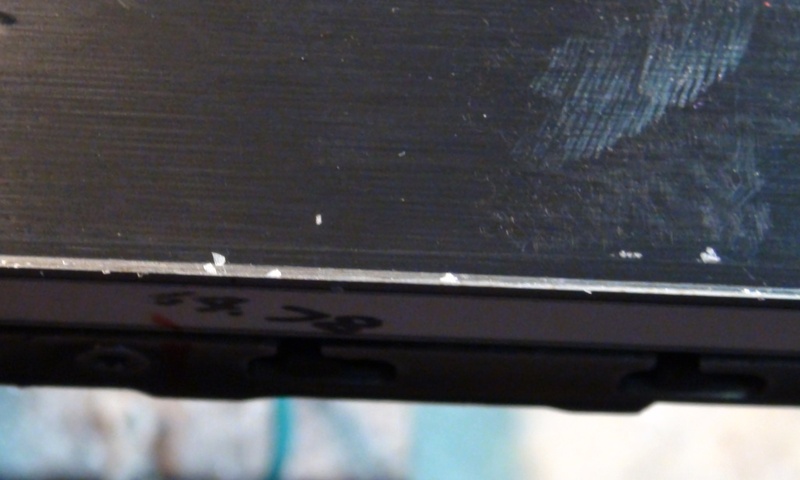 Scrape the bases lightly with a plexi scraper to remove surface dirt, exposed base-hairs, etc. 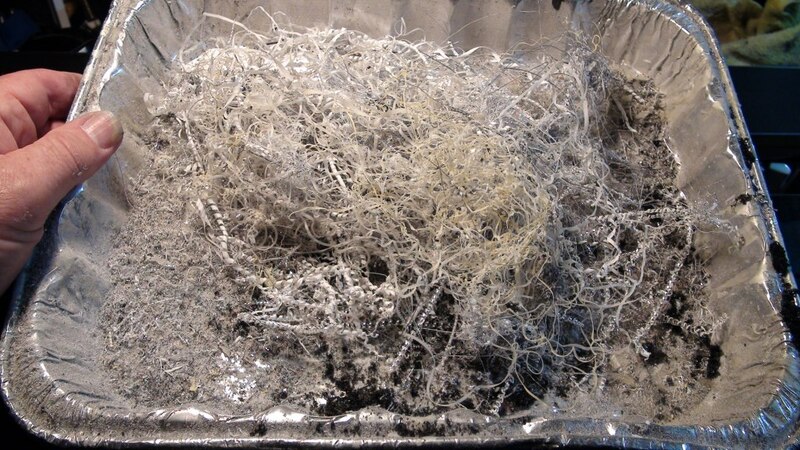 Optional (step 12.5) repeat 11 and 12 until scrapings are perfectly clean. If setting up for a cold weather wax, use progressively colder waxes as you warm scrape and repeat. Apply wax of the day, either by iron or by Ray’s Way Waxer. If high fluro, I believe Ray’s Way is the ONLY way to wax. 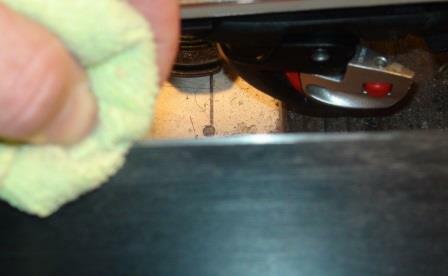 If ironing, wait until cool (10-15 minutes for hard waxes, 2+ hours for soft waxes) then scrape and brush. (Alternate to 14) If using a Ray’s Way, you are ready to ski… or if adding overlay, scrape and brush. For most top-end races, junior level and above, you will probably be adding overlay if the conditions and discipline justify the expense. For training- no overlay!! Pictures and possibly Sprongo video to be added soon. This is a new series for Experienced Tuners who want MORE PERFORMANCE! Home Tune vs. Shop Tune vs. Team (pro) Tune: I live less than 15 minutes from 2 Great Ski Shops. When I need help, they are there for me- which is awesome. But I can often do many tuning chores (even the top-end stuff) in less time than it takes to bring the skis in- much less wait for the work to get done and go pick them up. So it is actually easier AND faster for me to do the work myself most of the time. The latest trend in Tuning is having a Team Tuner (at the academies). 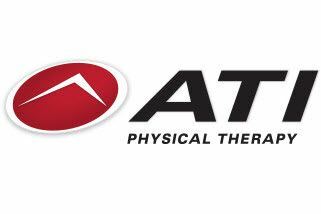 I suppose this may work for some- but what I am promoting is Grass Roots Performance: Knowing what your athlete needs, how their equipment is wearing, and how to get equipment to do what you want/need it to do. The PNSA has a great tradition of producing great skiers and racers from volunteer and family-based organizations. If you count the number of National Championship, World Cup, World Championship, and Olympic Medals won by our skiers you will realize we have done Just Fine- without many of the fancy, high-priced academies, personal coaches, and other Gold Plated services that some seem to think are now required to make it to the top. This series is for those who have Big Dreams. I feel many “over-tune” already, when what their kids REALLY need is more time in the gym, playing sports, and more time skiing with a good coach. I have seen some tuners try things they should not have tried- and it made their skis slower in the process. This blog has readers all over and I was a little jealous about spreading this knowledge to some of my son’s future competition. I hope to complete this series before Christmas, and to get a few videos done. My Top-End videos I will only load on Sprongo however, so that I have some control over distribution. Yup, I am a very passionate tuning Geek. I have been tuning skis for over 40 years, and I am continually stepping up my game. My son has World Cup and Olympic dreams so I do my best to make sure he has the best prepared skis on the hill. If you want the same for your racer(s), maybe I can help a little.